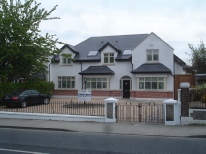 REDEVELOPMENT OF EXISTING BUNGALOW, CABRA ROAD, DUBLIN This project consisted of the design, planning and construction of the refurbishment and extension of an existing bungalow in Dublin. 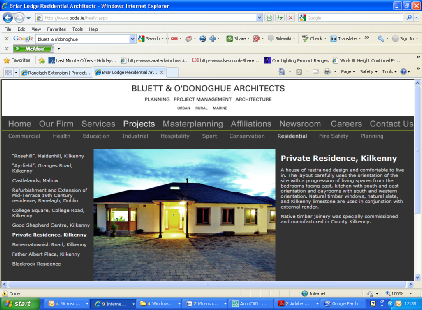 This project consisted of the design, planning & construction stages for a new Two Storey Dwelling House, at Whale Head on an elevated site on the shores of Lough Swilly in Ballylin, Ramelton, Letterkenny, Co. Donegal.The house is comprised of two simple splayed forms arranged around a double height glazed entrance hall orientated towards Lough Swilly. This house is carefully laid out to respond to the elevated site overlooking Lough Foyle. The living spaces are orientated to take advantage of the views and the southwesterly aspect. The exterior of the building is dressed in a local quartz stone and a traditional render.